Hyundai i15 in the making! 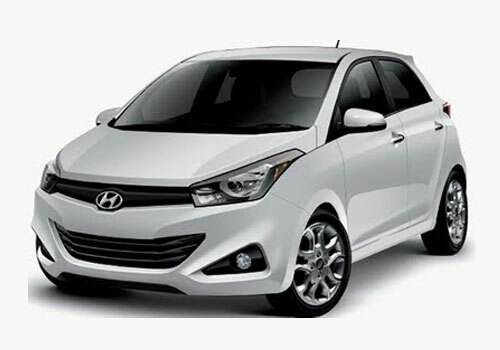 Hyundai has set in motion car sales in India with its Hyundai Eon small car and the recent buzz that Hyundai i10 will be launched in diesel has created much anticipation. Now the Korean car maker is in news regarding a new car Hyundai i15 that will be positioned between i10 and Hyundai i20. Currently, not much is known about this but it is expected that the car maker will be hurrying up things with i15 and it is expected to be a volume puller in India where Hyundai has a void between the small car i10 and premium hatchback i20. The Hyundai i15 price as well as specification will be out soon. In the absence of any concrete information from the car maker, there are several rendering of the new Hyundai car coming up soon and it seems to be a lookalike of Hyundai Getz that could not survive in India. It is also expected that the Hyundai i15 will also take the body styling of a crossover and could take on the Renault Duster launching today as well as the Ford Ecosport that is soon to be launched in India. Notably, Hyundai still lacks an affordable SUV offering in India and the Hyundai Santa Fe is comparatively costly affair. As far as the Hyundai i15 specifications and details are concerned, the new Hyundai car will have some of the class leading features that are still unknown in the segment. The i15 will be launched in both petrol and diesel engine options and will be a car that will be much inspired by the new design philosophy Fluidic design. Besides, dimension wise the hatchback will be bigger than the i10 but it will be somewhat different in dimension than i20. Overall, it will be a new Hyundai car and it is believed that Hyundai will price it so attractively that it will sweep the segment buying in its favor. What will be the exact price of Hyundai i15. Hyundai i15 will be coming killer price range. I know that Hyundai i15 Ex-Showroom Price is Rs 5,00,000.